Ah, Paris… City of Light, City of Love, my favourite city in the world. And my home for the next three weeks! I plan on plenty of exploring, musing and observing, and hopefully plenty of writing! Paris is a wonderland for the senses, and I’ll be posting some highlights here each day. 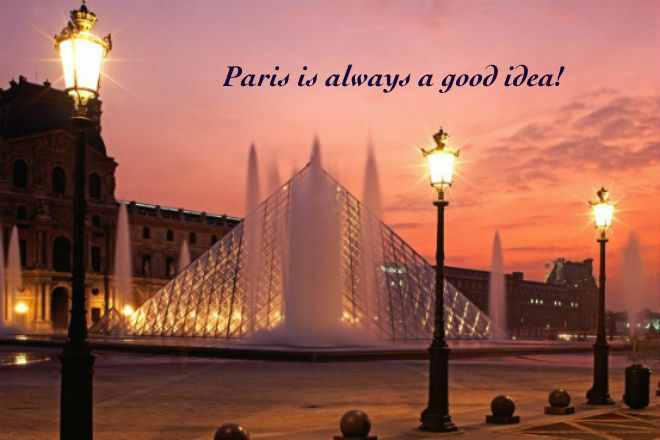 If you have favourite Parisian places and memories, please share – I’d love to hear them. Hope you find my favourite city as inspiring, exhilarating and just plain romantic as I do! Thanks, Servetus, it seems like I’ve been waiting forever to get back to my soul place. I’ll try to do it justice!